Wichita, KS --- Here's some good news for Wichita's aviation industry. French based Figeac-Aero breaks ground to expand its Wichita operations. 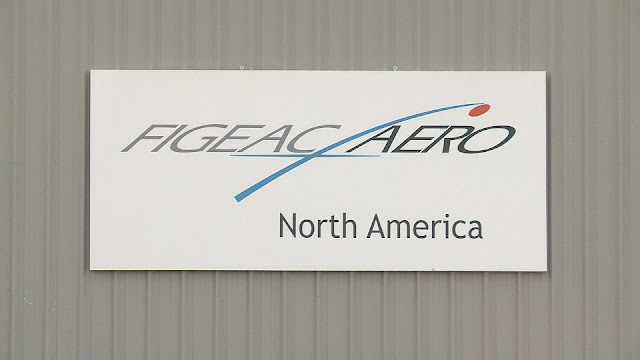 Figeac-Aero supplies airplane parts for such companies as Boeing, Airbus, Bombardier, Spirit AeroSystems, Embraer and more. The company is in the midst of a $20-million expansion which will include building its North American headquarters building on 39th Street North and Webb Road. Figeac's Wichita Vice President and General Manager Hocine Benaoum says, "Figeac really wanted to be in the Air Capital of the World." He says, "At this plant we plan to create 200 jobs." Currently the facility has 110 employees which is up from 46 six months ago. Benaoum says the company could hire as many as 400 new employees over the next few years. He says the company expects to double its revenue from $250-million to $500-million by 2018. A host of city, county and state dignitaries participated in the groundbreaking Friday morning. Governor Sam Brownback says the state's been working on getting Figeac to make this expansion in Wichita for two years. Gov. Brownback says, "This is exactly what we need to improve our supply chain. We have a great supply chain in South Central Kansas and these guys are a great addition to it." Benaoum says Figeac wanted to expand in the U.S. because it's still the largest aviation market. But he says the company wanted to expand in Wichita specifically because of the skilled aviation work force available here. "We need people available now. And due to the fact that these people are here, are trained with your schools and experience in different company it will definitely help us to grow fast." Figeac got state and local incentives to expand including $250,000 forgivable loans from both Wichita and Sedgwick County and a five year property tax abatement. 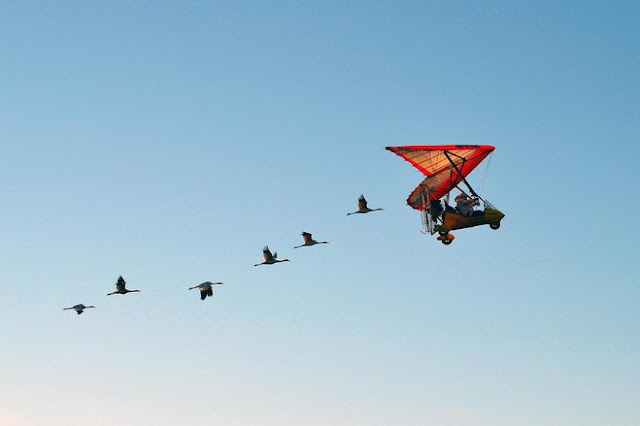 The iconic images of an ultralight aircraft leading a group of endangered whooping cranes over the countryside could be coming to an end. The U.S. Fish and Wildlife Service is recommending that the small aircraft used to guide young whooping cranes on their first fall migration to Florida from Wisconsin should be phased out, possibly as early as next fall. However, the group that runs those flights and trains juvenile cranes to follow them is taking sharp exception to efforts to end its work. The group hopes to convince a consortium that manages whooping cranes in the eastern United States that the flights should continue. "We strongly disagree," Joe Duff said of the Fish and Wildlife Service's recommendations. Duff is chief executive officer of Operation Migration, and he suggested the cranes that have been under its management have faired better than other methods of releasing birds into the wild. Nearly 250 whooping cranes have been released since 2001 in a Wisconsin-based program that the Fish and Wildlife Service estimated has cost more than $20 million in public and private funds. Of this, 181 whooping cranes have been involved in ultralight-led training. Today, the whooping crane population stands at 93 cranes in the eastern United States, with many of those birds living in Wisconsin. At nearly 5 feet tall, the whooping crane is the tallest bird in North America. Until their reintroduction, whooping cranes were last recorded in Wisconsin in 1878. Cranes in the late 19th century were eradicated from the countryside by hunting and the loss of wetland habitat. More recently, they have faced numerous troubles: Poor reproduction, predation, gunshots, swarms of black flies that have driven adults off their nests at the Necedah National Wildlife Refuge and a 2007 storm that surged through a Florida wildlife area and killed 17 juvenile cranes. A second flock of migrating whooping cranes spends winters on the Gulf Coast of Texas and the summer in northern Alberta. Western whooping cranes were not reintroduced and their population has slowly improved. But wildlife officials and crane afficionados have long supported the idea of an eastern migratory flock in the event that drought or hurricanes wipe out birds in the West. The proposal by the Fish and Wildlife Service to end the use of ultralights is one of a series of possible changes that the agency is suggesting to improve the birds' prospects. And the agency holds considerable sway. It administers the Endangered Species Act, manages wildlife refuges and oversees the annual distribution of captive-produced eggs whose chicks are then distributed to groups like Operation Migration to supplement the wild whooping crane population. The agency painted a dour outlook in Oct. 15 report, noting that research shows the birds in Wisconsin and other parts of the eastern U.S. could become extinct in the next 75 years without better management techniques. A chief recommendation: End or scale back on strategies that rely heavily on captivity and other artificial methods. The service said that "current captive rearing techniques may not instill whooping cranes with the characteristics that allow them to successfully reproduce in the wild," as well as to avoid predators, cope with insects and hone their parenting skills. In its report, the agency lauded the past use of ultralights and the role of Operation Migration for its "pioneering" methods and the role it's played creating a migration route and raising awareness for crane conservation. "They've really been an important player," said Wade Harrell, whooping crane coordinator for the Fish and Wildlife Service. But the agency also said in its report that the use of aircraft is "more artificial and costly than any other currently used method and does not appear to yield substantially better results." It plans to work with Operation Migration and others to "phase out ultralight-led rearing." Harrell said he didn't know whether that would happen a year from now or later. The recommendations will next go to a consortium, the Whooping Crane Eastern Partnership, a nine-member group of government and private organizations that manage the birds with a goal of creating self-sustaining populations. An influential member of the partnership is the Baraboo-based International Crane Foundation. It works with Operation Migration. But it also has other projects, including a method of releasing new chicks into the wild in the company of older cranes. The young birds then follow the other cranes south. "We want to work together for what is best for the bird," said Crane Foundation spokeswoman Anne Sayers. "We appreciate these recommendations to get us started on that." Duff said he was troubled the agency posted the recommendations on its website. He thought that the matter would be discussed at a meeting of the partnership in January. He said Operation Migration has raised and spent more than $10 million to train cranes to fly south. The back roads journey to Florida — involving pilots, a ground crew, a nightly encampment and fencing of the birds and ever-changing logistical challenges — can take months to complete. In a letter to the Fish and Wildlife Services, Duff said that "denigrating proven successful release methods...is heavy-handed to say the least," and he complained that the agency used incomplete data that puts the results of his group's work in a false light. The question mark over the future of Operation Migration also puts fundraising in a quandary, said Duff. Harrell said he hopes Duff's group can continue to play a role and he emphasized that the prime issue for cranes is keeping human interaction to a minimum. In the beginning, "we had to have a guided migration," Harrell said. "We don't need a guided migration anymore." 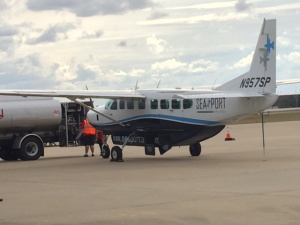 SeaPort Airlines‘ last flight from Tupelo left about 3 p.m. today headed toward Nashville, ending service two months earlier than planned. Well, earlier than the U.S. Department of Transportation had planned. Last month, the agency ordered SeaPort to continue providing roundtrip service to Memphis and Nashville through Dec. 28. The airline announced in August it was withdrawing service on Oct. 23 – today – but the DOT issued a consent order to keep service until a replacement carrier could be found. But SeaPort told DOT earlier this week that it would in fact end service today. With 66 days left between now and Dec. 28, SeaPort could be fined more than $1.8 million. 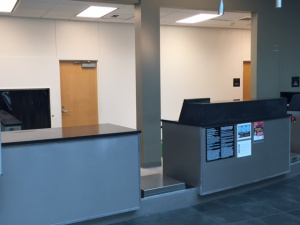 SeaPort began service in October 2014 with a $2.5 million annual subsidy provided by the DOT’s Essential Air Service department. But canceled and late flights have plagued the airline, and DOT said earlier this year that the airline would only be paid for completed flights. As for passengers that might have bought tickets in advance, well, they’ll have to go to SeaPort to get refunds. While sitting in traffic, a News 2 viewer sent the I-Team video of a plane flying low over the Ravenel Bridge. The video shows a small plane flying uncomfortably low over the Ravenel Bridge several times. The driver wanted to know what the pilot was doing and if it was safe to be that close to heavy evening traffic. “I personally witnessed the aircraft make 5 passes over the bridge, once splitting the towers of the bridge,” Justin Bussjager wrote News 2. 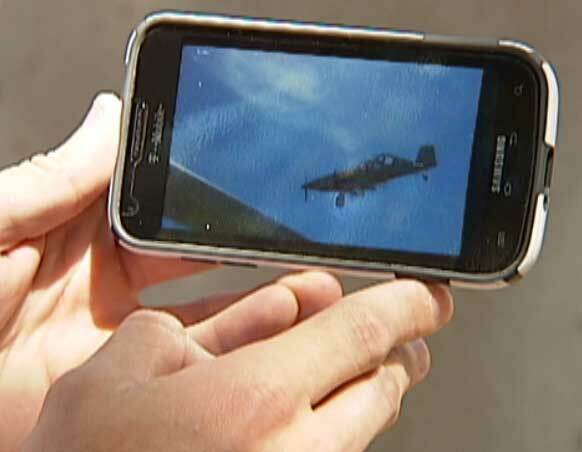 I-Team reporter, Rebecca Collett, called to FAA to get answers. A spokesperson said the pilot has a special permit to fly that low. Generally, in congested areas, planes must fly at least 1,000 feet above the tallest point. In the case of agricultural operations, pilots can get special permits to fly lower. A spokesman at Charleston County told News 2 the contracted pilot was spraying for mosquitoes in the area Thursday evening. The pilots who conduct the aerial spraying must have special training, and there are additional inspections required on the planes. A pilot spraying for mosquitoes near the Arthur Ravenel Jr. Bridge has been cleared of any wrongdoing after drivers called 911 saying they feared his aircraft might hit the span. The Federal Aviation Administration said it reviewed the flight of pilot Tommy Phillips of Williamsburg Air Service and determined there was no evidence that aviation regulations were violated. As a result of its inquiry, the FAA said changes were made to the route flown for the mosquito-spraying to help alleviate public concerns. The new route has been flown once without public complaint, the agency said in an email. When contacted by phone Monday, Phillips said he wasn't doing anything wrong during the flight so there was no need to make changes. The owner of Williamsburg Air, Guy McClary, said the FAA told the company to do the “neighborly thing” when it sprayed. “In other words, do the best you can,” McClary said. He said the company was flying legally April 17 when it was spraying for mosquitoes on Drum Island next to the bridge. Cathy Critser of Summerville was among those who dialed 911 when she saw the plane and its direction of travel. “I think it caught a lot of people off guard,” she said. Critser said the plane's proximity to the bridge made her nervous because the Boston bombings happened two days before. She said drivers were stopping on the bridge because of the aircraft. She suggested that officials place signs on the bridge to let people know when mosquito spraying is happening. Critser said she trusts the FAA, but the results of its inquiry don't change how she felt at the time of the incident. Phillips called Critser to say he was very sorry for scaring her, she said. Gary Paddock of Mount Pleasant said he also called 911 on April 17 because of the plane's proximity to the bridge. “If the result is that the sprayer will fly a different and safer route, then I think that we got done what was needed,” he said. Williamsburg Air was conducting a standard flight near the bridge for the Charleston County Mosquito Control Division, the county said at the time of the incident. The pilot was operating within established guidelines that enable the plane to fly low to treat mosquito larvae, the county said. MOUNT PLEASANT, SC (WCSC) - A pilot is saying he followed all safety protocols as he flew over the Arthur Ravenel Bridge during a mosquito control operation on Wednesday. Tommy Phillips says he has been hired by Charleston County Government to spray the area around Drum Island for the past seven years. "It wasn't very low to me and it wasn't very close and there wasn't any danger," he says. "I'd be an idiot to travel at 150 miles per hour and take chances." Several people reported seeing the plane and calling emergency officials due to the proximity of the craft to the bridge. "We have a crazy plane flying over the Ravenel Bridge," a woman can be heard telling a 911 dispatcher. "I don't know anything about planes, but I'm not kidding you when I say he barely missed part of the bridge." Med student Garrick Klaybor was running over the around 3:30 p.m. on Wednesday when he also spotted the plane flying closely over the bridge. "It surprised me and it was a little exhilarating," said Klaybor who reported that the plane flew over the bridge at least five times before heading towards Sullivan's Island. "It was kind of cool to see, but a little too close for comfort." Phillips says he stays at least 100 feet above ground during the aerial spraying. "I want people to know we take them into consideration," he says. "We're there to prevent mosquitoes and West Nile virus." The Federal Aviation Administration announced it would investigate the incident, despite Charleston County Government officials saying that the pilot was following normal protocol within FAA safety guidelines, which enables crafts to fly low to treat mosquito larvae. Phillips says he has been cleared by the FAA. BALTIMORE (WJZ) — The Baltimore riots are now part of a congressional investigation into the FBI’s use of aircraft surveillance. Pat Warren reports the ACLU is demanding answers. 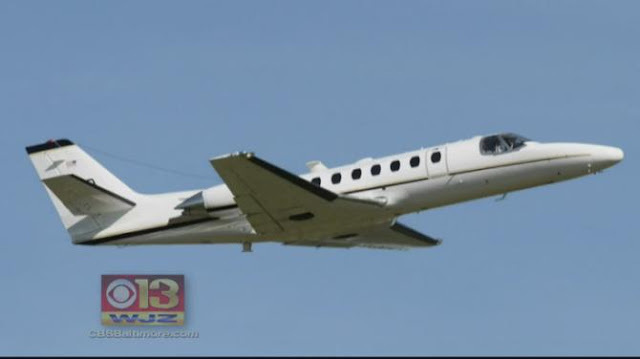 The FBI provided aircraft to the Baltimore Police Department for the purpose of providing aerial imagery of possible criminal activity, according to FBI Director James Comey. Comey told a congressional committee Thursday city police requested the support. “If local law enforcement asks for help in getting a look at a developing situation, we will offer that help. We’ve done it in Baltimore. We did it in Ferguson, as I recall,” he said. The Baltimore unrest says the director is one of the infrequent cases when the FBI provides eye in the sky for local jurisdictions. The FBI makes thousands of flights in these planes, raising the question: what kind of surveillance goes on when there aren’t any riots? “We need to know what it is that the FBI is doing in these thousands of flights every year over American cities,” said David Rocah, ACLU. The ACLU is troubled, despite assurances from the FBI. “We don’t fly planes around America looking down trying to figure out if somebody might be doing something wrong. The overwhelming use of our aircraft is a pilot flies as part of an investigation to help us follow a spy, a terrorist or a criminal,” said Comey. “What that says to me is that the cameras they have are cameras that are able to identifying a particular individual from many thousands of feet up in the air. That is a scary and sophisticated kind of surveillance technology,” said Rocah. The ACLU has filed a freedom of information petition for FBI aircraft surveillance records. The FBI was also tracked flying over peaceful protests. The House of Representatives Judiciary Committee is also investigating. Emergency crews stood by waiting for a plane at Big Bear City Airport Oct. 23 in case of a hard landing. 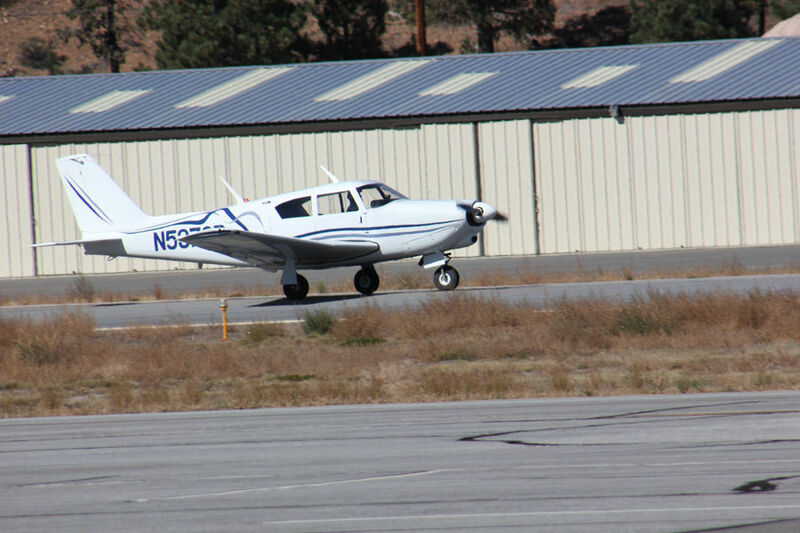 The pilot of the Piper reportedly had trouble with his landing gear as he approached Big Bear City Airport. Witnesses reported that the plane flew over the Valley approaching the airport and the gear was not down at first. A second report said the landing gear did not fully extend correctly even appearing crooked. The pilot circled the airport several times, finally flying above the runway showing emergency crews and those on the ground that the gear was engaged and he could land. One more circle around, and the pilot landed safely. According to the FAA registry, the plane, a Piper PA-24-250 Comanche, is out of Reedly, California, in Fresno County. Lyon County Board of Commissioners directed county manager Jeff Page and staff to enter negotiations with Silver Springs Airport LLC, which has new partners, on an updated Master Lease Agreement for the Silver Springs Airport. The airport property is owned by Lyon County, obtained years ago from the federal government, and operated by Silver Springs Airport LLC. During the Oct. 15 county commission meeting, Page said he initiated the idea of amending the lease agreement, noting the current one has 37 amendments and he wants to get rid of those and make simply one lease agreement. After talks with Page, SSA replied with a letter to him indicating its willingness to begin the process to update the master lease agreement but with one request that the lease be for 99 years instead of the current 50-year lease. Page said he had talked with attorney Jim Cavilia, legal counsel for Silver Springs Airport LLC, about drafting a tentative lease agreement. The letter from Silver Springs Airport LLC says once his draft version is done, it would be sent to Lyon County District Attorney Steve Rye for his review and collaboration. It said once a completed draft is finalized, the SSA would propose a meeting with the Silver Springs Advisory Board to present the draft agreement “and to vet any concerns that may arise” and then to the Board of Commissioners for its consideration. At the meeting, Kay Bennett, principal with SSA LLC, and airport manager, said, “I want to say thank you to the county manager and county staff for the enormous cooperation” given to the airport over the years and she looked forward to continue working with them. She announced the addition of two partners. At the meeting she said, “We know USA Parkway is moving forward and continued that they have been and will continue working with developers with the Tahoe Reno Industrial Center, with the airport consultants, Armstrong Consultants, the state of Nevada and the Nevada Congressional delegation” and she felt the county would be proud of the end result. She announced two business partners who have joined her with Silver Springs Airport LLC, Marco and Joel Lucich, which took effect in August, she said. She said they intend to add lands owned by Silver Springs Airport LLC to the lease agreement and property owned by Lyon County in the area, needed to expand the runway. The letter notes Lyon County obtained its property--former Nevada Department of Transportation right-of-way--a few years ago working with Kay’s late husband, Hale, and NDOT. She said SSA LLC plans to donate its land in question to Lyon County. Bennett said the extended runway is needed “to make the airport more suitable to a greater variety of aircraft” for landings and takeoffs, to accept heavier and larger aircraft, including all corporate aircraft. The runway extension, she said, is planned to be 8,900 feet long by 100 feet wide from the current 6,000 foot-by-75-foot runway dimensions. The commercial pilot stated that, after departure, while climbing through 4,500 ft mean sea level, engine power decreased, the engine "vibrated violently," and he noted that the oil pressure dropped to zero. Soon after, the engine experienced a total loss of power and the pilot elected to perform a forced landing to a nearby field. An examination of the engine revealed that the No. 5 connecting rod had separated from the crankshaft. While several of the cylinders and connecting rods exhibited corrosion, the root cause for the separation of the No. 5 connecting rod from the crankshaft could not be determined. The manufacturer recommended a time between overhaul of 2,000 hours of operation or 12 years, whichever occurs first. At the time of the accident, the engine had accumulated about 2,500 hours of operation in the approximate 17 years since its last overhaul. A total loss of engine power as a result of the separation of the No. 5 connecting rod for reasons that could not be determined based on the available information. 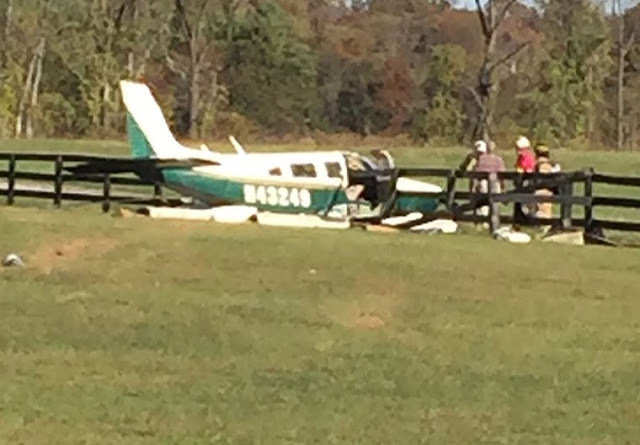 On October 23, 2015, about 1530 eastern daylight time, a Piper PA-32-260, N43249, was substantially damaged during a forced landing to a field near Bluemont, Virginia. The commercial pilot and passenger were not injured. Day visual meteorological conditions prevailed and no flight plan was filed for the personal flight, which was conducted under the provisions of 14 Code of Federal Regulations Part 91. The flight originated from Upperville Airport (2VG2), Upperville, Virginia, about 1520, and was destined for Monmouth Executive Airport (BLM), Farmingdale, New Jersey. According to the pilot, after departure, while climbing through 4,500 feet mean sea level (msl), the engine power decreased, the engine "vibrated violently," and he noted that the oil pressure dropped to zero. He contacted air traffic control and attempted to return to the departure airport; however, he realized the airplane would not make the airport. Therefore, he elected to perform a forced landing to a nearby field. According to the passenger, the pilot performed a preflight inspection of the airplane and added a quart of oil to the engine prior to departure. During the climb, the "engine sound became very loud with obvious serious knocking." Soon after, the engine seized and the pilot elected to land the airplane in a field. During the landing, the airplane slid across the field, struck two fences, and then came to rest upright. After the pilot and passenger egressed the airplane, the pilot checked the oil level and the passenger reported that it was "full." According to the pilot, he held a commercial pilot certificate with a rating for airplane single-engine land and instrument airplane. He reported 3,195 total hours of flight experience, 2,500 hours of which were in the accident airplane make and model. His most recent Federal Aviation Administration (FAA) second-class medical certificate was issued on October 26, 2013. According to the FAA, the airplane was manufactured in 1974 and was registered to a corporation in 1991. According to the maintenance records, the most recent annual inspection was performed on June 2, 2015, at which time the airplane had a total time of 4,610 hours and a tachometer time of 2,414.2 hours. At that time, the oil and oil filter were changed, and the oil filter was inspected for contaminants, with none noted. Then two other oil changes were noted in the engine logbook, which corresponded to 2,462 hours and 2,512.5 hours. There was no indication in the engine logbook that the oil filters were examined for contaminants at the time they were changed. The oil filter installed on the airplane at the time of the accident indicated it was installed on September 9, 2015, at a tachometer time of 100 hours, and there was no corresponding entry in the engine logbook. The tachometer in the airplane at the accident location indicated 117.5 hours; however, no maintenance log entry was found that corresponded to a tachometer replacement. The airplane was equipped with a Lycoming O-540-E4B5, 260-hp engine. The most recent engine overhaul occurred in 1998. At the most recent annual inspection, the engine had accumulated 2,285.8 hours of time since major overhaul, it was calculated that at the most recent oil change in the engine logbook, the engine had accumulated 2,384.1 hours. Since there was no maintenance log entry that corresponded with the tachometer replacement, the engine had at least an estimated total time of 2,501.6 hours at the time of the accident. An examination of the airplane revealed that the right wing was impact separated and the left wing was removed by recovery personnel. The engine remained attached to the airplane and the propeller remained attached to the engine. One propeller blade was bent aft in an approximate 45-degree angle and the other blade was bent aft in an approximate 5 degree angle. The engine cowling was removed and no damage was noted on the exterior of the engine crankcase. The carburetor drain nut was removed and about 12 ounces of fluid similar in color to 100LL aviation fuel was drained out of the carburetor. No debris was noted in the fluid. About 9 quarts of oil was noted in the engine, which had a capacity for 12 quarts. Crankshaft continuity was confirmed by rotating the propeller by hand without resistance, and crankshaft continuity was confirmed to the rear accessory section of the engine. The top spark plugs were removed and thumb compression was confirmed on all cylinders except cylinder No. 5. The bottom of the crankcase was fractured near the No. 5 connecting rod. The oil pump was removed from the engine and rotated freely by hand. It was disassembled with no anomalies noted. The engine oil sump was removed from the engine and there were multiple pieces and particles of metal in the oil sump. The oil filter was removed from the engine, disassembled, and metallic debris was noted in the filter. The oil suction screen was examined and metallic debris was noted in the screen. All cylinders except cylinder No. 5 were removed, and corrosion was noted on the Nos. 2, 3, and 4 cylinder walls. The No. 5 connecting rod was separated from the crankshaft and corrosion was noted on the connecting rod surface that interfaced with the crankshaft bearing. Cylinder No. 5 was unable to be removed due the connecting rod damage. In addition, corrosion was noted on the No. 6 connecting rod. The No. 3 piston exhibited scoring on one side of the piston and the piston pin cap was deformed into an oval shape. The No. 3 cylinder was sent to the NTSB Materials Laboratory for further examination. The piston exhibited a wear scar around the piston pin hole. The lines within the wear scar on the piston were consistent with reciprocating rubbing along the axis of the cylinder. The piston pin did not exhibit deformation, but it did exhibit superficial circumferential wear scars, consistent with rotation inside the piston crown. The inside walls of the cylinder exhibited deposits that were consistent with rust. Furthermore, the inner cylinder had a circular wear scar, which was consistent with the shape of the piston pin plug. There was a lack of corrosion in the circular wear region, which suggested that the corrosion of the cylinder was present before the wear or rubbing between the piston assembly and the cylinder occurred. According to the Lycoming Service Instruction on the required time between overhaul, it stated that the time between overhaul (TBO) takes "into account service experience, variations in operating conditions, and frequency of operation…Continuous service assumes that the aircraft will not be out of service for more than 30 consecutive days." The investigation was unable to conclusively determine if the engine was out of service for any period greater than 30 days. "Engine deterioration in the form of corrosion (rust) and the drying out and hardening of composition materials such as gaskets, seals, flexible hoses and fuel pump diaphragms can occur if an engine is out of service for an extended period of time. Due to the loss of protective oil film after an extended period of inactivity, abnormal wear on soft metal bearing surfaces can occur during engine start. Therefore, all engines that do not accumulate the hourly period of TBO specified in this publication are recommended to be overhauled every twelfth year." The TBO listed for an O-540-E4B5 engine was 2,000 hours. On October 23, 2015, about 1530 eastern daylight time, a Piper PA-32-260, N43249, experienced a total loss of engine power and the pilot performed a forced landing to a field near Bluemont, Virginia. The commercial pilot and passenger were not injured. Day visual meteorological conditions prevailed and no flight plan was filed for the personal flight, which was conducted under the provisions of Title 14 Code of Federal Regulations Part 91. The flight originated from Upperville Airport (2VG2), Upperville, Virginia, about 1520, and was destined for Monmouth Executive Airport (BLM), Farmingdale, New Jersey. According to the passenger, the pilot performed a preflight and added a quart of oil prior to departure. During the climb, the "engine sound became very loud with obvious serious knocking." Soon after, the engine seized and the pilot elected to land the airplane in a field. During the landing, the airplane slid across the field, struck two fences, and then came to rest upright. After the pilot and passenger egressed the airplane, the pilot checked the oil level and the passenger reported that it was "full." A postaccident examination of the airplane revealed that the right wing was impact separated and the left wing was removed by recovery personnel. The engine remained attached to the airplane and the propeller remained attached to the engine. One propeller blade was bent aft in an approximate 45 degree angle and the other blade was bent aft in an approximate 5 degree angle. The engine cowling was removed and no damage was noted on the exterior of the engine crankcase. The carburetor drain nut was removed and about 12 ounces of fluid similar in color to 100LL aviation fuel was drained out of the carburetor. No debris was noted in the fluid. The oil dipstick was removed and about 9 quarts of oil was noted in the engine. Crankshaft continuity was confirmed by rotating the propeller by hand without resistance. The top spark plugs were removed and thumb compression was confirmed on all cylinders except cylinder No. 5. 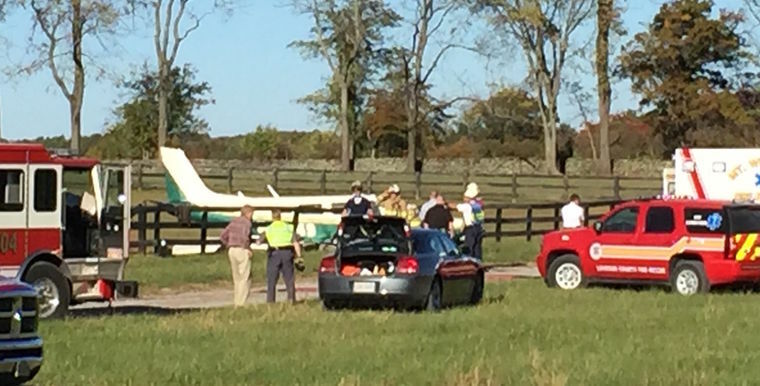 Loudoun fire and rescue crews were called to the scene of a light aircraft crash near Bluemont this afternoon. The call was made at 3:30 p.m. and crews from Round Hill, Hamilton, Purcellville, Mount Weather, the Office of Emergency Management and the Loudoun County Fire Marshal’s Office responded. The plane was found in a field on Walsh Farm Lane south of Bluemont. Two people were aboard. They declined medical treatment. The State Police said the pilot was experiencing some trouble with the plane and landed in the field as a precaution. The plane, which hit a fence, was damaged, but largely intact. According to FAA records, the aircraft is a single-engine 1974 Piper registered to BEC Industries Ltd. in Monmouth County, NJ. According to Loudoun Fire-Rescue, the plane departed from a private airfield in Upperville and was headed to an executive airport in New Jersey when the crash occurred. A worker at Logan International Airport was spotted on the wings of two planes taking selfies, according to police. The incident happened Thursday night in the hangar area. State Police said the worker was seen taking selfies on the wing of an American Airlines 737 and a JetBlue plane. The worker was escorted away and the jets were checked out for any damage. An American Airlines spokesman said no damage was found and the 737 made its scheduled departure for Chicago Friday morning. While most passengers were outraged, some said they could understand the temptation. OKLAHOMA CITY (AP) - Oklahoma Gov. Mary Fallin has issued an executive order involving the use and management of the state's fleet of airplanes and helicopters in an attempt to reduce operating and maintenance costs. The order issued Friday centralizes all state-owned aircraft under Oklahoma's public safety commissioner. 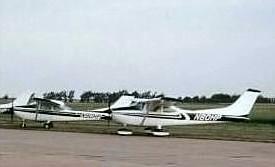 State law enforcement agencies that regularly use aircraft would retain ownership of their aircraft but their use would be scheduled by the public safety commissioner. The order requires state agency heads to notify the director of the Office of Management and Enterprise Services when they plan to purchase or lease private aircraft. The order also calls for development of a management plan for state-owned aircraft within 120 days, including the shared use of aircraft and the sale and disposal of aircraft that are no longer cost-efficient. The F-35’s latest problem? The ejection seat. Four years before Pentagon officials discovered potentially life-threatening problems with the F-35 Joint Strike Fighter’s ejection seat, a top official warned in an urgent memo that the escape system should be more thoroughly vetted before pilots were trained on the plane. 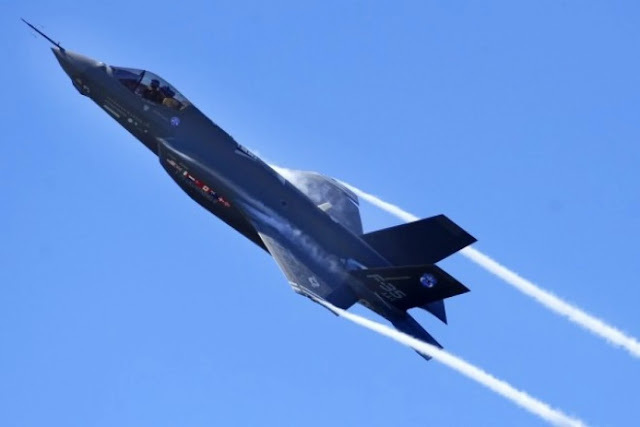 In an unsolicited dispatch to the top defense officials overseeing the $400 billion F-35 program, J. Michael Gilmore, the Pentagon’s chief weapons tester, said he was concerned that training flights would proceed even though the ejection seat system had not been fully tested. His warnings were rejected by Pentagon brass, who pressed on with the controversial program, according to internal documents obtained by The Washington Post. But a series of recent tests revealed serious problems with the jet fighter’s escape system, the Pentagon acknowledged this month, creating potentially hazardous circumstances, especially for lighter-weight pilots. Those lighter-weight pilots face a “high” risk of danger, and the risk is deemed “serious” for mid-weight pilots, according to an internal risk assessment of the problem, which was obtained by The Post. 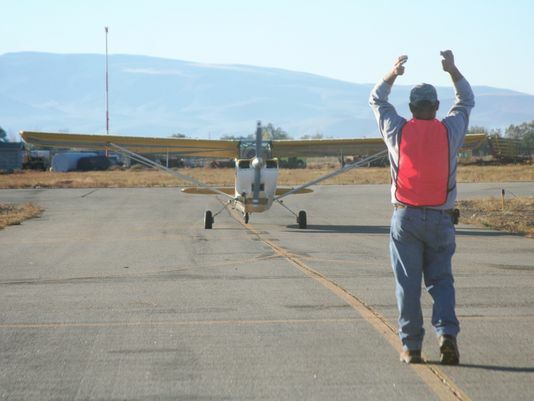 Lighter-weight pilots, those weighing less than 136 pounds, are now prohibited from flying the aircraft, officials said, until the problem is fixed. The latest setback for the most expensive weapons program in Pentagon history has concerned some members of Congress who wondered why testers are still finding significant flaws in a fighter jet that has been in development for about 14 years. The problem occurs because the force of ejection can be so great that a pilot’s head could suddenly snap forward or back, causing injury. But Bogdan said officials have already identified solutions—reducing the helmet weight, creating a switch on the ejection seat for lower-weight pilots and a head support panel in the parachute. Some of those fixes have already been in the works for six months, but it could be another year until they are resolved, Bogdan said. “I’m confident the current risks will be resolved, and we will be able to overcome the current and future problems,” he said. In response, program officials said at the time that they did “not agree with the characterization,” and would proceed with the flights. In his testimony this week, Bogdan said that testing of the ejection seat has been going on “for many, many years,” and has been methodical. It is also a complicated process, he said, because the seat is designed to handle pilots that range in weight from between 103 to 245 pounds, more than other fighter jet ejection seat systems. In August, when officials realized that pilots who weighed less than 136 pounds could face “potentially fatal whiplash,” the program restricted those pilots from flying. Problems with the ejection seat were previously reported by Congressional Quarterly and Defense News. Out of the more than 200 F-35 pilots, only one was affected, said Joe DellaVedova, the program’s spokesman. And that pilot has since been transferred to another aircraft. The troubles with the ejection system are just the latest to plague the F-35 program. Last year, for example, the entire fleet was temporarily grounded after an engine caught fire as a pilot was about to take off. In addition to the plane, officials have also have had problems with the high-tech helmet worn by pilots. The helmet, which costs $400,000, can help the pilot see through the plane, giving pilots unprecedented 360-degree views. The pilots use six cameras embedded in the skin of the aircraft, so when they look in a particular direction, they can see through the corresponding camera. Twin projectors located inside the helmet then beam that outside images onto the pilots’ visor, which then acts as if it were a screen. For years, though, designers struggled with the new technology. Images streaming onto the visor were jittery in turbulence. The night-vision technology created a “green glow” that obscured the pilot’s view. And now the ejection seat testing has led to another troubling discovery: The helmet is about six ounces too heavy. The fixes should be fairly straightforward, Bogdan said this week. But, he warned, it could be a lengthy process. “I never want to say anything’s easy in the F-35 program, because nothing is ever easy,” he said. Yeager Airport officials are poised to ask Gov. Earl Ray Tomblin and the West Virginia Legislature to tap the state’s Rainy Day Fund for the $25 million to $35 million they believe is needed to begin rebuilding the safety-overrun zone that collapsed in a March 12 landslide. Airport officials said insurance and lawsuit settlements won’t arrive for at least two years and they want to begin fixing the safety zone next spring. As of Sept. 30, the state’s two Rainy Day Funds had $857.9 million. West Virginia has usually ranked among the top states in terms of its Rainy Day Funds, although Tomblin has dipped slightly into it to balance the state’s budget the past two years. The first phase of removing the unstable remnants of the safety-overrun area is nearing completion. “We started at an elevation of 940 feet, and now we’re down to 830,” said Terry Sayre, Yeager’s executive director. “We should be down to 800 feet by the end of next week,” and then be ready to start the second and final phase of clearing slide debris and stabilizing the slope. However, completion of the first phase and the purchase of two properties along Keystone Drive in the vicinity of the slide will virtually clean out the remaining $1.6 million in mitigation-work funding created by refinancing the airport’s parking garage earlier this year. S&E Clearing and Hydroseeding, the contractor now removing material from the slide zone, has proposed completing the final phase of slope mitigation, involving the removal of 80,000 cubic yards of material, for about $400,000, and giving the airport two years to come up with a way to pay that tab. The finance committee voted to recommend accepting S&E’s offer during next Wednesday’s meeting of Yeager’s governing board. 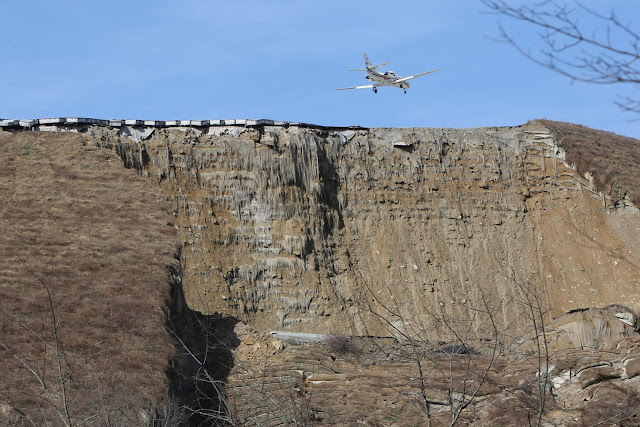 In other developments, Sayre told committee members that the Federal Emergency Management Agency has opted to pay less than half the amount of a grant request for reimbursement for the airport’s emergency response to the slide. The Charleston airport had sought $848,000 from FEMA, but it recently was informed that the federal agency was authorizing a grant of $416,000. Since the state recently opted out of paying 25 percent matching funds for federal grants to airports, Yeager’s FEMA reimbursement drops to $313,000. Airport officials are considering four options for rebuilding the safety zone, ranging from a plan that includes a pair of concrete retaining walls and 600,000 cubic yards of fill to one that makes use of a 2:1 slope, requiring 1.5 million cubic yards of fill to build. Airport board members expect to make a decision on a final rebuilding plan in December. COEUR D’ALENE, Idaho — An Idaho man has filed a lawsuit against the federal government because he says his personal information was compromised as part of a massive data breach of the U.S. Office of Personnel Management. Victor Hobbs, an aviation safety inspector for the Federal Aviation Administration in Spokane, is asking the judge to grant the case class-action status on behalf of himself and other federal employees who may have been compromised by the data breach. 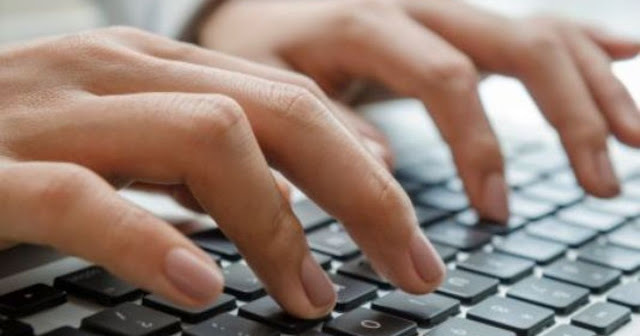 He filed the lawsuit in Idaho’s U.S. District Court against the Office of Personnel Management, former and current officials at the government agency and against agency contractor KeyPoint Government Solutions. The agency and contractor have not yet responded to the lawsuit. Hackers suspected of working for the Chinese government are believed to have stolen records for as many as 18 million current and former federal employees and contractors last year, including detailed background investigations for employees with security clearances. In his lawsuit, Hobbs contends that the federal government knew for years before the 2014 data hack that the Office of Personnel Management had deficiencies in its cybersecurity, including that agency employees didn’t have guidance on how to prevent software systems from being hacked. “Log-in credentials stolen in the OPM breach are reportedly already being offered for sale on the Internet,” Hobbs wrote in the lawsuit. He contends that the Office of Personnel Management’s actions violated the federal Privacy Act and the Administrative Procedures Act, as well as amounting to negligence. Several other potentially class-action lawsuits have been filed against the Office of Personnel Management in other jurisdictions. It’s not yet known of those cases will ultimately be combined or if they will proceed separately. The head of a major airline that will begin flying to Antigua next month is seeking to make the case for investment in environmental conservation. 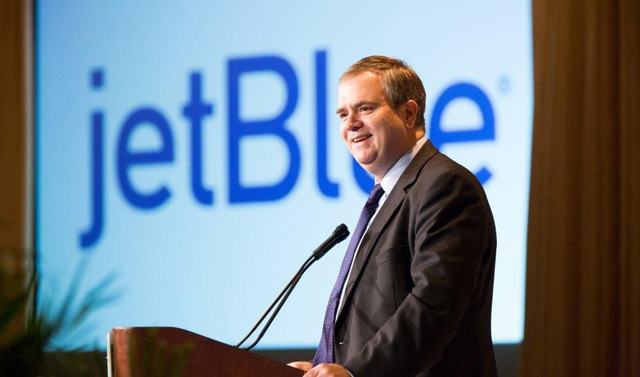 President and Chief Executive Officer of JetBlue Airways Robin Hayes said governments need to see value in the upkeep of the natural surroundings. “Too often around the world, countries fail to see the link between cleaning up beaches and oceans and their economic vitality. No one benefits when oceans and beaches are polluted, yet these problems persist around the world,” he told the Caribbean Tourism Organization’s 2015 State of the Industry Conference underway in Curaçao from 21st to 23rd October. A recent partnership between JetBlue and The Ocean Foundation has set out to, once and for all, prove the connection, and Hayes said the Caribbean region is in that assessment. “Nothing spurs governments or business to act like hard data, but until now, we haven’t really had anything that we can use. I’d like to add that the concept of the original idea of who is an eco-tourist is outdated…. Every single person, who comes to the Caribbean for its beautiful water and white beaches is an eco-tourist,” is Hayes’ take on the matter. Meanwhile, Hayes wants Caribbean countries to review taxes on airline tickets. “There’s a wide range of passenger tax regimes across the region. I will encourage all of you who have influence in this sphere to carefully consider how those taxes are levied and use this operation sparingly. 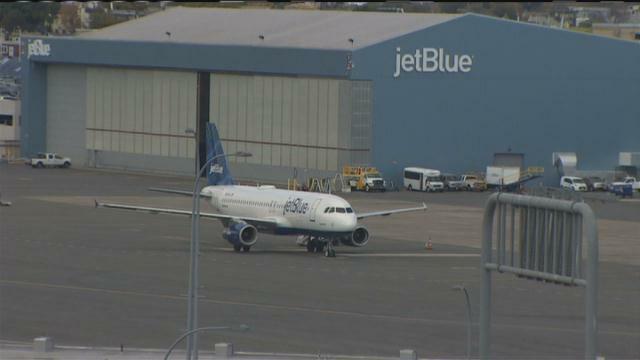 “At JetBlue, we are thinking very much about the relative tax burden on our customers as we allocate capacity,” he informed the meeting adding that lower taxes can benefit the economy. “Travellers can easily be hit with an extra US$150 on top of their air fare, and that could equate to an extra hotel night or an extra night’s stay. Contrast that to the average JetBlue fare for the first 6 months of the year of US$171. We would rather customers have more money in their pockets to spend when they arrive in their communities, extend their stays, take an additional meal out than just pay tax,” he challenged government revenue regulators. In June 2015, JetBlue Airways started offering tickets for its nonstop service between New York City’s John F. Kennedy International Airport and Antigua’s VC Bird International Airport, making St John’s the 92nd city to be added to the budget airline’s list of destinations. The first flight will be on 5th November. It will be part of the new thrice-weekly service – Tuesdays, Thursdays and Sundays.